Sean’s career has been focused on Insurance and Technology for 31 years. Sean has worked at several Property Casualty Insurance companies, including The Travelers Insurance, The Hartford Insurance, Hanover Insurance in key roles. His career has spanned roles from Cobol developer to marketing representative. Sean worked at Marsh McLennan Brokerage, and as an IT consultant servicing the insurance industry. Sean was the CIO MiddleOak for 8 years, providing application development support and IT strategy to his business partners. Sean is focused on enabling the business by developing technology strategy and the successful delivery of solutions. Sean has a BA in Economics from Fairfield University, with a minor in MIS, and an MBA in Marketing from Rensselaer Polytechnic Institute. 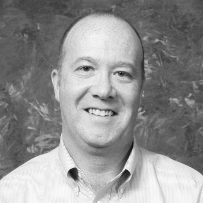 Currently, Sean is the New England Insurance Lead for Centric.